I am absolutely loving this flower embroidered dress. Sleeveless pleated maxi dress by Diane von Furstenberg (also available here). 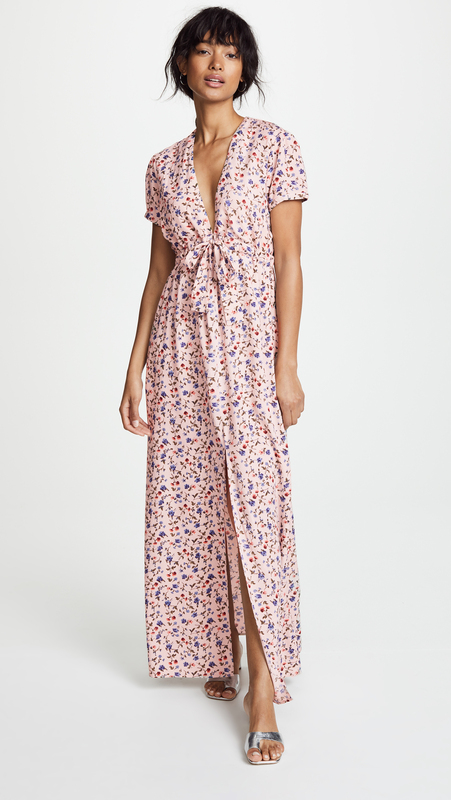 This maxi dress is made of a lovely pink floral fabric. 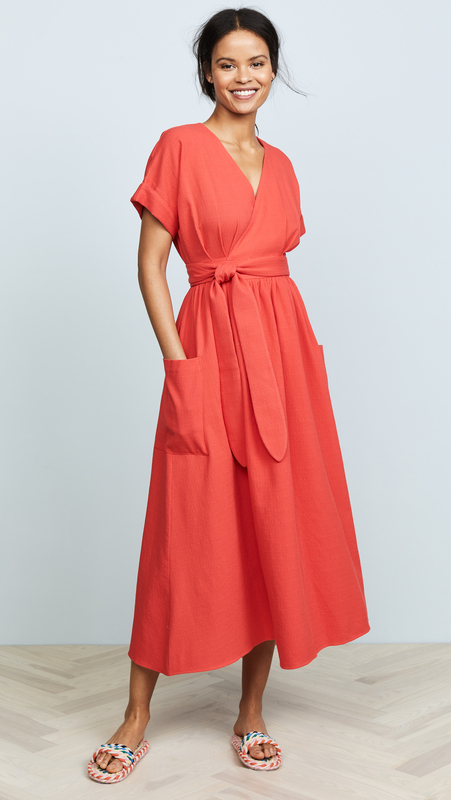 This beautiful red dress from Figue is now on sale. This A.P.C. 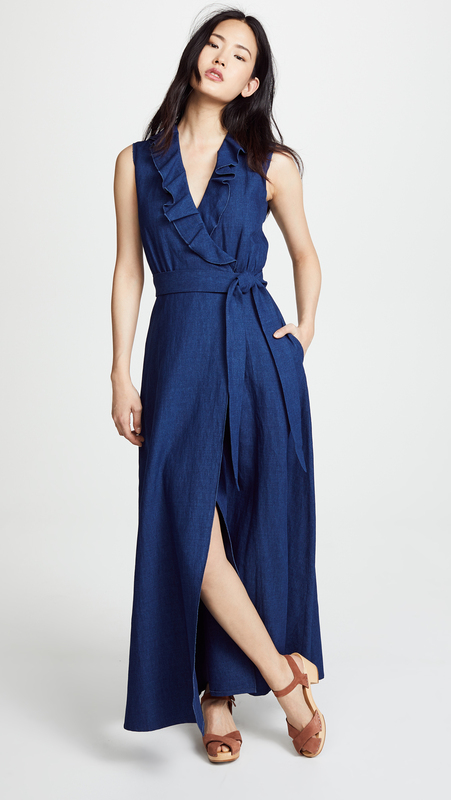 dress made of lightweight denim is a stunner. Cinched waist maxi dress .